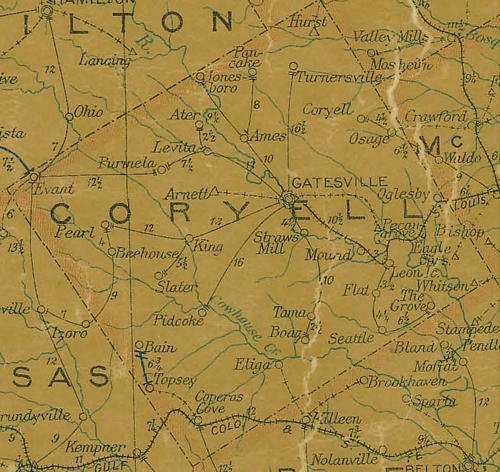 Cave Creek, Texas, Coryell County. Nicknamed Peruna or Perunie after a patented medicine high in alcohol content. Cave Creek had a post office for four months in 1899, but it never officially opened. A school was in session in 1904 with one teacher teaching 29 students. It later consolidated with White Hall school in 1929. Cave Creek no longer appears on TxDOT maps.